The arcade game Space Invaders undoubtedly represented a turning point in the industry when it was released in 1978. It became an inspiration for countless other video games that followed and is today considered a landmark in popular culture. Yet the game affected a young Frenchman in a wholly unexpected and bizarre way. 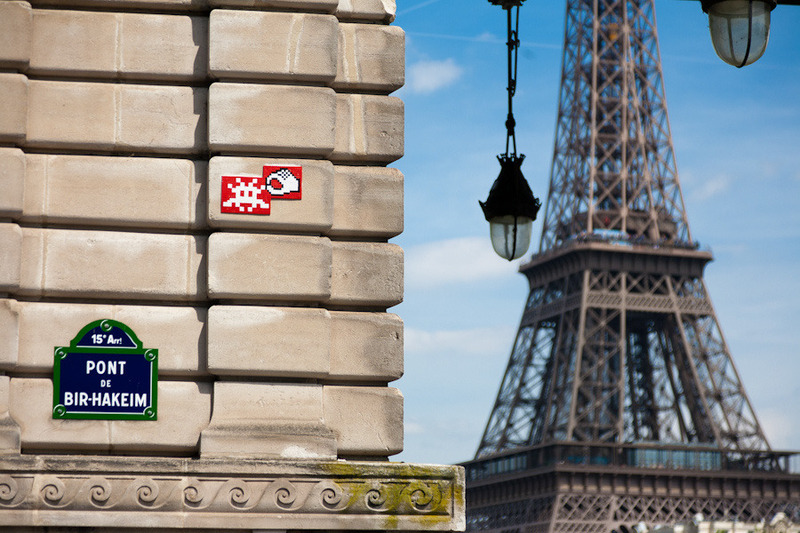 In 1998, this Parisian artist, known only as Invader, began installing mosaic tiles all over the French capital. The tiles depicted pixelated characters from the Space Invaders game and quickly spread around the world: from street corners in Tokyo, to the famous Hollywood sign in Los Angeles. All in all, the mosaics have “invaded” 35 cities, not to mention outer space (via a weather balloon launched near Miami) and the ocean floor (through an underwater sculpture by Jason deCaires Taylor near Cancun). This is an astonishing feat that is all down to the work of one man who has travelled the world for almost 10 years. According to the Invader, it takes around two weeks to prepare the operation. The weather-resistant mosaic tiles are built in advance and are then quickly installed. The Frenchman uses extra strong cement to make sure his tiles aren’t removed easily. 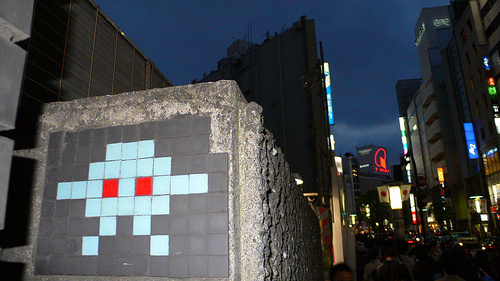 When asked why he preferred to use mosaic instead of the more traditional street art medium of spray paint, Invader stated that “a tile is permanent. It is meant to be put outside.” The mosaics also manage to preserve the ultra-pixelated appearance of the space invaders. Not much is known about the anonymous artist, his identity has remained a closely guarded secret. An alleged graduate from the Ecole des Beaux-Arts in Paris, Invader has not confirmed reports of an early background in rebellious activities and punk music.